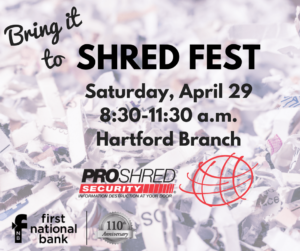 Shred Fest April 29, 2017 at First National Bank - Valley Technologies - Your Web Solutions Experts! Spring time is a great time to clean house (so to speak). That also goes for offices. 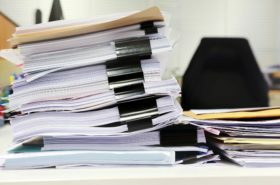 Remember that shredding your confidential documents is a wise choice to protect not only your personal & financial security, but that of your customers as well. For that matter, it’s a good idea to help from allowing those pesky hackers and invasion experts to get a hold of your confidential information, like phone numbers & emails. It’s just a good practice! This Saturday, one of our local biz partners, First National Bank, located right on Hwy 60 is holding a Shred Fest. For more info, CLICK HERE.